"Its not summer anymore, but its not quite winter, we're on the phringe. The first annual Phall Phringe Phatty is here! Come join us in this celebration of trail running in Missoula. A gathering of trail runners and trail enthusiasts alike to share some miles on the trails in a slightly competitive (or not) venue. But better yet, a chance to share stories afterwards." 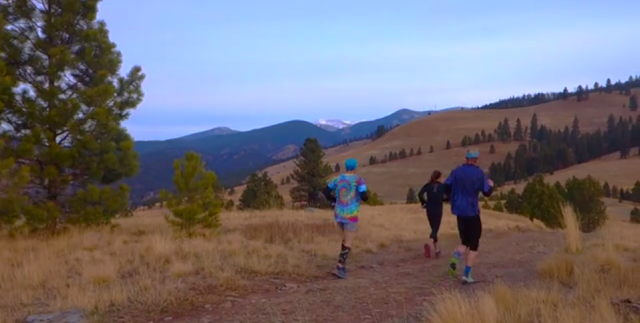 A solid group of runners turned out to get one last taste of those Missoula mountain trails before the elk and snow claim them for the winter. The introduction of P3 is yet another great example of the growing trail running community here in Missoula. Great to see everyone out this weekend, I enjoyed the 'promised' post run stories and chili! Keep your eye on Seth and Justin's blog http://runninonthephringe.blogspot.com to see what they are scheming up next! * Don't forget to hit that HD button!